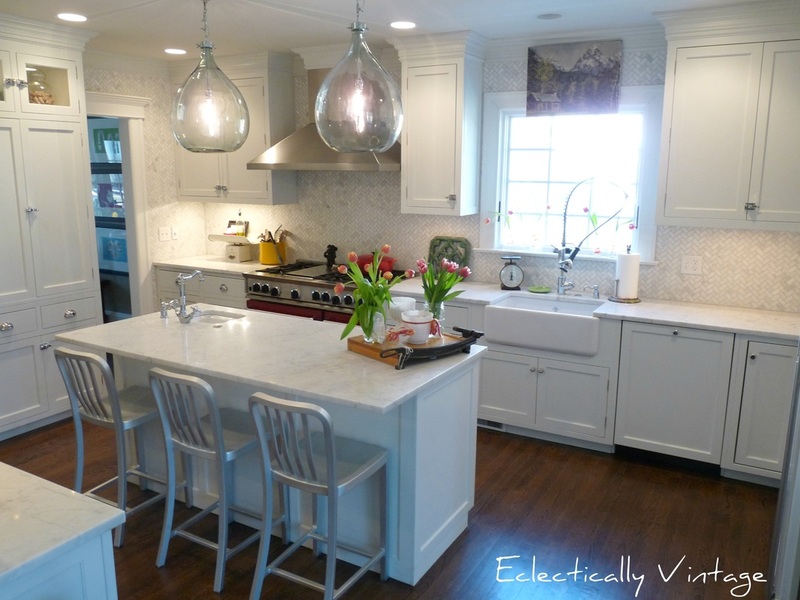 Eclectically Vintage revealed her jaw-dropping kitchen. It really is just stunning! 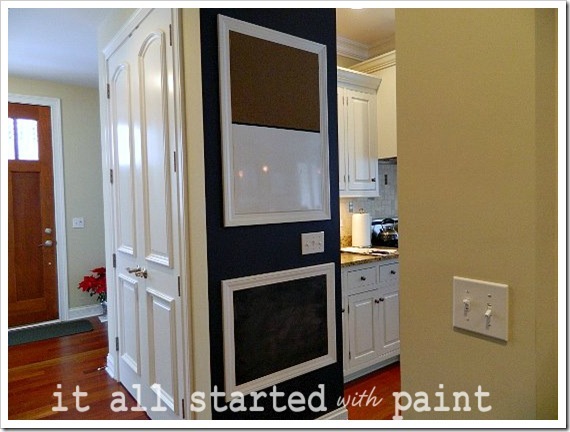 It All Started with Paint was so inventive with her Family Command Center wall. 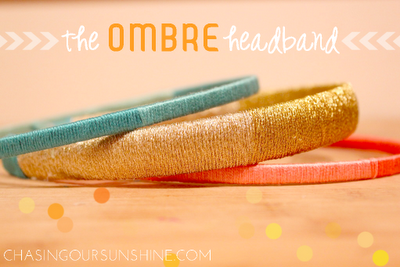 You really should check out her post… it is too funny! 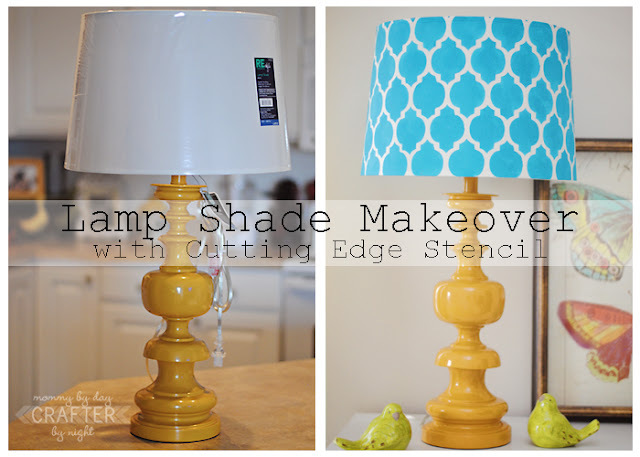 I love how Mommy by Day Crafter by Night stenciled this beautiful lamp shade. Such a bold new look! Mommy is Coo Coo had the genius idea to hang a door on her bathroom wall as a towel rack! Her posts are always cracking me up, too! Finally, Lady with the Red Rocker shared her Two-Ingredient Strawberry Cake recipe! Looks crazy delicious! Thank you to everyone for making our link party so much fun! If you were featured, please grab a featured button to display on your blog. *Link to a specific post —not your home page, no giveaways, no ads for shops, or ETSY shops please! 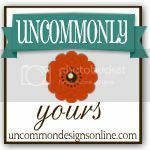 *Please Follow Uncommon – we have the new LINKY FOLLOWERS gadget on our sidebar! Just linked up my mom’s hutch!! Thanks so much for hosting!! I see my button at the top of your blog!! Thank you!! YUM! I want a slice of that cake. Or maybe it’s just dinner time? Happy partying =) Thanks for hosting. Wow – thanks so much for featuring my kitchen! I’m in great company here – love that family command center from It All Started with Paint and that lampshade is fab! Linked up some of my fave crusty finds. So many great features! I LOVE Kelly’s kitchen, and that command center and updated lamp shade are awesome!! Thank you for hosting! Have a happy Wednesday! Thanks so much for hosting! Can’t wait to go check out all of the cute projects! Thanks so much for hosting, ladies!! Have a fantabulous day!! Thanks for hosting blog. I’m a new follower, would appreciate if you could follow me back. Thanks for hosting! Following you now. Thanks so much for hosting!! Have a nice day!! Great features! I’m off to look at some of the lovely projects linked up. I shared some party hats–we’ve both been in the party mode lately!